Setup Charge $20.00 per color for quantities 100-499; FREE for 500 pieces and up. This was a great buy! We used these for Red Ribbon Week and had a logo that represented anti drugs an bullying. The turnaround time was very quick and the quality was great. I will definitely use Promotion Choice again! Thank you! Rush ordered the cups for an event we had and they arrived on time and looked great! Was super easy to order and called almost immediately to confirm the order details. Such an easy website to work with, and Arabia was so accommodating to us. Thanks for making our life easier and the great product! What a great buy! Website super easy to navigate, price was great, timeframe excellent, end product fantastic. Great all around! TIP TOP Customer Service! Great Stadium Cups. You've been absolutely incredible! Your excellent customer service has really blown me away and I will pass along your contact information along to my company to use for all future (much larger) projects! I hope your outstanding service is rewarded and I look forward to doing business with you again in the near future! Cups arrived yesterday, our customer was very happy, thank you again for the awesome product and the great customer service, look forward to doing business with you again. I received my cups today and they look great!!!! Thank you for making this such an easy and quick process!!! If I ever need printed cups again I will definitely contact you!!! I sent a friend over, I think she is call you today. Thanks again for awesome service! Awesome Customer Service on my Custom Cups. Last Thursday afternoon I was in a panic trying to order some about 100 cups for my daughters school event. I chatted online with someone from your website and she was very helpful and patient. I needed the cups in 6 days and she told me what I needed to do to assure that they would be here on time. The arrived yesterday morning (right on time) and are absolutely perfect. Promotion Choice took the time to create the exact cup I had asked for and I am very, very thankful!! I will be passing the word on what a great product, the outstanding customer service, and the quick delivery of Promotion Choice. I can't believe how quickly we received our order. Cups were just what we needed for slushees at our son's pool party. Printing was perfect... could not have asked for more! I have just completed a very complicated order and could not have done it with the help of Greg. He walked me through the whole process, by downloading a font which I was unable to do and telling me exactly what to do with the order. I can't tell you when I have communicated, on line, with such a knowledgeable and polite person.. Give him a raise. You really help us out, and I just wanted to thank you and let your customers know how much we appreciate your help! 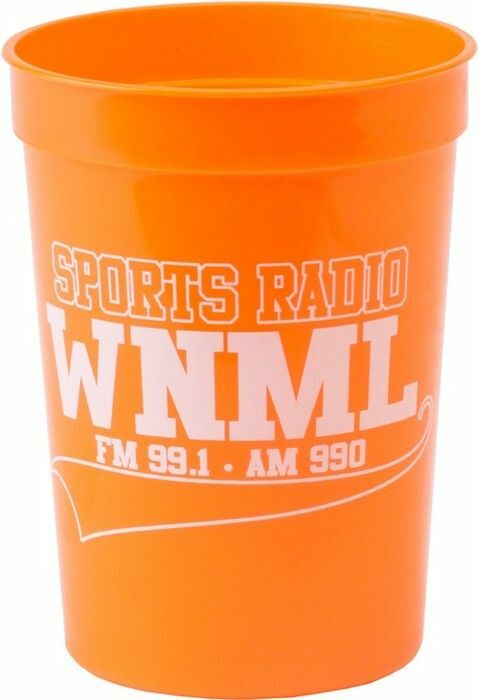 We ordered stadium cups from you and needed them in a big hurry. You basically got everything turned around for us within 3 days, and without any sort of rush charge!! Since we were getting the stadium cups in such a rush, we weren't expecting much, but when they arrived, we were really stunned by how great the quality was in terms of the printing and the cups themselves. Thank you - you really saved us!